Small Vacuum Cleaners - Which Compact Hoover Is Best In 2019? Small Vacuum Cleaners – Which Compact Hoover Is Best In 2019? With growing pollution and global warming, living among dust, dirt and allergens has become common. Now it is not conducive for everyone to use a high-power, industrial grade vacuum cleaner. Most people don’t have homes that large or enough storage space. The need of the hour is a compact, small vacuum cleaner that takes care of all your cleaning needs without taking up too much space. It needs to be lightweight, small and yet be versatile and powerful enough to get even the most stubborn dirt. There are several areas in your house that are prone to collecting dirt and dust. The carpet, upholstery, light fittings, corners, high surfaces, etc. Especially if you have pets, the chances of fine dust, hair and dirt getting stuck in invisible parts of your house are high. You, therefore, need a vacuum cleaner that can tackle all of these problems without requiring too much maintenance or work on your end. The following are three compact vacuum cleaners I came across during the course of my research. All three are different in shapes, sizes and weight and have different features too. I have laid out all their distinct features for you to assess and make a decision. The latter half of the post also deals with questions you must ask yourself to set criteria for your purchase. Things like how to fix a budget and how to decide which features are useful are tackled with. But first, take a look at the individual features before deciding which is the best small vacuum cleaner. The Shark Duoclean TruePet is a lightweight vacuum cleaner that is perfect for pet owners. Its unique brush roll design is capable of picking even the finest pet hair, even if its stuck in a dark corner or out of reach. ‘Flexology’ allows it to bend however you need it, saving your precious back and getting the cleaning done at the same time. The flexible wand bends to get underneath low lying furniture, extends so you can clean above the floor surfaces like curtains or light fittings. The following are some of the most enduring features of the product. DuoClean Technology: The vacuum cleaner employs DuoClean technology which means the brush head has two unique brush rolls which work simultaneously on different surfaces. So you can move from carpets to the hard floor in one swift movement, without needing to change settings. The DuoClean technology also helps to clean three types of dirt — large and small messes from carpet and hard floors, as well as stubborn, stuck-on dirt that refuses to come out by hand. The brush also tries to restore the original glow of the floor. Carpets and Hard Floors: As mentioned before, the second brush in the vacuum head, which is a softer brush roll, ensures that you can move on to the hard floor from carpet fibres without changing any settings or stopping to switch heads. Get All Corners: The cleaner also has ‘Flexology’, which allows the wand to bend whichever way you want and access areas that are otherwise hard to reach. The wand can even bend so the vacuum cleaner can reach underneath low lying furniture like sofas, without exerting your back. The quick release extended wand also allows you to take care of above-the-floor cleaning, just what you need to get to high curtains and light fittings. Handheld Vacuum: The vacuum cleaner is also versatile and converts to a handheld vacuum with the click of a button. This is useful for above-the-floor surfaces like stairs or table tops which require a shorter wand that doesn’t come in the way or greater access. There are several onboard tools that are useful for cleaning different kinds of messes and dirt. Store Anywhere, Reach Anywhere: This Shark vacuum cleaner is so lightweight and compact, it can be stored anywhere. With no untidy power cords to take care of and no need for storage hooks, etc., you can park the vacuum cleaner anywhere in your home. The Flexi wand can even fold down to half its size if you need to make the device even smaller. It is also capable of reaching anywhere in your home, even tricky crevices or underneath low lying furniture. For Homes with Pets: The device also comes with a motorised brush which is perfect for cleaning stubborn pet hair. Remove all fine hair from your carpets and upholstery in one steady sweep of the vacuum. A real boon for pet owners. The LED lights on the vacuum head illuminate even the dust that’s hiding in dark corners. Besides, HEPA filtration ensures no stray particles that could cause allergies are left behind. The Black & Decker 18V Flexi is a compact, handheld vacuum that is perfect for high surfaces like the top of a cupboard, wall hangings, picture frames, lampshades and even door ledges. You can also reach areas that would otherwise be difficult to get with a long, unwieldy stick. Get behind the radiator, underneath the bed and cabinets to get an all-round, deep clean. It’s great for not just everyday messes but also for more stubborn dirt like pet hair, stuck-on dirt and all other kinds of debris. Its cordless quality allows you to clean all over the house without stopping to change power outlets. It has a 1.5-metre flexible hose that allows you to reach awkward and hard spots. It also comes with a 2-in-1 nozzle/flip-out upholstery brush. The following are some interesting features. Flexible Hose: With a 1.5-metre flexible hose, you can reach further and clean areas that would be otherwise hard to reach. The hose wraps around the device easily, so it is incredibly easy to store too. You can clean higher surfaces that are hard to reach with this extension. It also comes with a flip-out brush that helps to attack dust on fragile fibre and materials like upholstery, lampshades, curtains and vents. Everyday Use: Whether you want to include it in your everyday cleaning or perhaps once a week, this compact and lightweight vacuum is perfect for both. It offers a 15-minute run time and can be used after charging only for a bit if you need a quick cleanup. It is powered by a rechargeable lithium-ion battery which provides constant fade-free power through the runtime. It also employs a cyclonic cleaning technology so the dust and dirt are spun away from the filter, ensuring it does not clog or allow any dust particles to come back into the air while you’re cleaning. Use it every day or even once a week, perhaps even take it down to your car to give it a deep clean — it’s that lightweight and easy to carry. Hassle-Free Maintenance: The dust collector is a translucent bowl that is fully removable. You can see when the collector needs to be emptied out. It is designed in a way that you don’t need to come in contact with the dirt. You simply need to slide the side door open and empty the debris out into a dustbin. Rinse the dust bowl and filter with tap water and you’re ready to go again! The vacuum cleaner weighs 2.28 kgs and has a volume capacity of 0.5 litres. 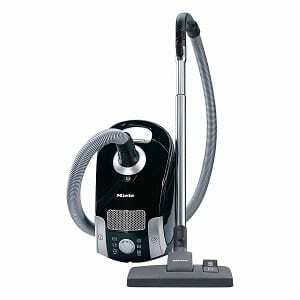 The Miele C1 Compact Powerline is a small, compact vacuum cleaner of the bagged variety. If storage is a problem, then this vacuum cleaner is a good fit for you. You can switch quickly between settings and floorheads. There is the conventional floorhead, for regular surfaces like hard floors and the SBD290 floorhead, for a more complex, deeper clean. You get to choose the kind of cleaning you’re looking for. You can also choose between exhaust filters to customise the way your vacuum cleaner cleans. You can choose between the ‘air clean filter’, which gives you an effective clean or take it a notch higher by choosing the ‘exhaust filter’, which ensures that the air blowing out from the exhaust is even cleaner than the air in the room when you started vacuuming. The following are some features you may find useful. Bagged Vacuum: The bagged quality of the vacuum cleaner ensures that all the dirt and dust is sealed into a bag. All you have to do is replace the bag every time it fills up. This is a safer, more convenient way of cleaning as it ensures you will never be exposed to the dust. Sure, replacing the bags can be a chore but so is cleaning out the dustbin after using a bagless vacuum cleaner. Anti-Bacterial Filter: The anti-bacterial filter makes the bagless quality even more important. If you or somebody in your home is prone to allergies, this is a great quality for a vacuum cleaner to have. Its different exhaust filter settings give you a deep clean and ensure that the dust that it is pulling in does not come back out into the air via the exhaust. The anti-bacterial filter even absorbs fine dust particles, which are the most harmful allergens. The bag seals off all the dust and allergens and you don’t have to worry about cleaning out the bag yourself. Suitable for All Surfaces: The two different floor heads offers you a versatile and deep clean around the house. The conventional floor head is great for regular surfaces like hard floors and flat surfaces. The SBD290 floor head takes care of all other surfaces, from thick carpet fibres, upholstery, sofas, etc. 5 Litre Capacity: The 3.5-litre capacity of the vacuum cleaner is enough for multiple cleans without needing to change the bags. 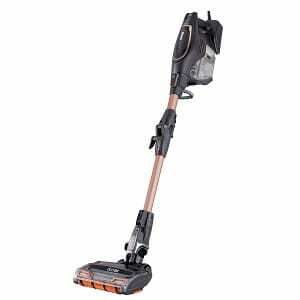 The vacuum cleaner is small but it has a great capacity nevertheless to take care of your cleaning needs. It weighs 8.42 kgs. Having laid out all the special features of each product, you and I are both in a better position to make a choice. But it’s also important to set criteria for every purchase. There are several things you will need to consider before making a decision and picking any of these vacuum cleaners. Go over the details of each and ask yourself some questions to make a clearer mind. Is the cleaner bagged or bagless? With a bagged vacuum cleaner, you don’t have to worry about being exposed to the dust and debris. In a bagless one, you won’t have to buy extra bags to replace the used ones. Both have their pros and cons. How effective is the filter? If you’re prone to allergies, this is an important question. If the vacuum cleaner has anti-bacterial or HEPA filtration, it will help keep the air clean and ensure the dust pulled in by the vacuum cleaner is not let out again through the exhaust. Is it compact and lightweight? If you have storage restrictions or if your home has many levels and staircases, you might need a vacuum cleaner that is compact and lightweight so you can carry it around easily. What are your specific requirements? It is up to you to decide what the specific needs of your home are — do you have pets? Do you have upholstery that requires delicate care? Do you have alcoves in high areas that need frequent cleaning? These are all custom needs that your vacuum cleaner must fulfil. Is it cordless? A vacuum cleaner that has a long, untidy power cord will be harder to store. The cord simply gets in the way. No matter how long the cord, it also will limit how far the cleaner can go. Having said that, a cordless vacuum cleaner will have to be charged frequently. How noisy is it? If the vacuum cleaner is only noise and does not have the corresponding amount of power, you could probably settle for a less noisy alternative. Carpets and Floor: A vacuum cleaner should be able to go from one surface to another, without stopping or losing suction. It should be able to go from thick carpet fibres to hard floors, without needing you to change settings or change heads. To clean carpeted surfaces, you will need a motorised brush to get a deeper clean. Crevices: A vacuum cleaner should have enough add-ons or onboard tools to deal with different kinds of dirt, stuck even in corners or dark crevices. It should be flexible and versatile enough to get to otherwise hard-to-reach areas. Underneath Furniture: The vacuum cleaner should have a flexible or adjustable handle so you can reach underneath low lying furniture like sofas or beds without needing to exert your back too much. If the vacuum cleaner’s wand is adjustable it can get into tricky spots. Above-Floor Surface: It should be useful not only for flat floor surfaces but also above-the-floor surfaces like high curtains, light fittings, etc. The wand should be extendable such that it can release quickly and reach high surfaces. For mid-level surfaces like table tops, kitchen slabs and stairs, a compact vacuum works the best. If your traditional, upright vacuum cleaner can also be converted into a handheld vacuum, it’s a double whammy! Filter: The vacuum cleaner should have an effective filter that does not allow the dust particles to escape back into the air through the exhaust. Not every vacuum cleaner has an anti-bacterial or a HEPA filter, but some basic standard of filtration should be met with. Before talking about anything else, however, it is important to set a budget. What are you willing to spend on a vacuum cleaner? If something you like is outside of your price range, what additional benefits is it offering you? These are some questions you must ask yourself before fixing a budget for anything. You should also keep in mind how frequently you’re going to be using the product. If you’re going to clean only once a month, there’s no point in buying something very expensive. You can narrow down your search only if you fix a budget. If something is completely outside the price range you’re looking at, you have your answer. The Shark DuoClean vacuum cleaner has an incredibly flexible wand that can shorten, extend or bend with the click of a button. It can clean underneath the sofa as well as high light fittings, without straining your back. It can also be converted into a hand vacuum so you can get surfaces that may be hard to get with a long stick. 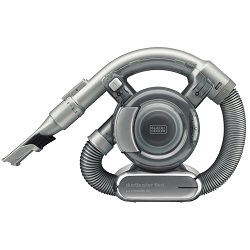 The Black+Decker vacuum cleaner is also a handheld vacuum and comes with a flexible hose to cover more area. The Shark DuoClean TruePet also has an inbuilt LED light, so you don’t miss out on any stray hair hiding in dark corners. When you’re cleaning in tricky crevices, like underneath the sofa or behind a bookshelf, visibility is often a problem. With the LED light, you can ensure not a speck of dirt gets away. Again, the Shark DuoClean TruePet ticks off this box. Built especially keeping pet owners in mind, the vacuum cleaner uses DuoClean technology to get to all kinds of surfaces and even has a special dusting brush that helps in giving your home a deep clean. The triple particle cleaning ensures that the vacuum cleaner can pick up after small and large messes, as well as stubborn, stuck-on dirt that may be hard to get out otherwise. Only the Black+Decker vacuum cleaner is cordless, offering flexibility to go around the whole room without needing to stop and change the power outlet. The lithium-ion batteries are detachable and can be charged using any power outlet. It can also be charged in situ overnight. The battery has a run time of 15 minutes and can be used after only a few hours of charging. Its cordless quality also allows you to store it anywhere without any hassle of winding the power cord. At 2.28 kg, the Black+Decker vacuum cleaner is the lightest, followed by the Shark DuoClean at 4 kgs and finally, the Miele C1 Compact Powerline, which is the heaviest at 8.42 kgs. The Shark DuoClean vacuum cleaner provides HEPA filtration, which ensures even minute dust particles are pulled in — perfect for a home that is prone to allergies. The Miele vacuum cleaner also has an anti-bacterial filter. Having assessed all the features and factors that should contribute to a purchase, I have decided to pick out the Shark DuoClean TruePet vacuum cleaner. It is versatile, has incredible flexibility in the wand and can be stored extremely easily, without any storage hooks. The vacuum cleaner offers HEPA filtration, has an inbuilt LED light and is perfect to pick out fine pet hair. While it is perfect for pet owners, it is also ideal for any other household. It only means that your home will be getting an even deeper clean without pets and their stray hair. It can clean underneath low lying furniture, above-the-floor surfaces like light fittings and curtains and even mid-level objects like table tops, kitchen slab, stairs etc. With the click of a button, you can convert it into a handheld vacuum. It looks like the most versatile of the three options and is not exorbitantly priced either. My vote goes to the Shark DuoClean!